sad triumphs | type slowly. I did a podcast with bossman Vu at Weheartmusic. We talk Brooklyn, sissies, The Voice, and other equally stimulating topics. You know what’s incredibly fascinating? I accidentally discovered a new writing technique that involves an untouched glass of wine. Folks, I just pour the wine and it sits next to me and provides symbolic inspiration and I DON’T DRINK IT AT ALL (and then I drink it). Saves on money and liver. 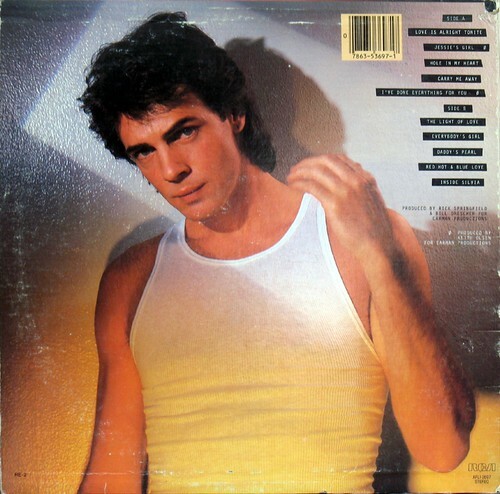 I’m attracted to Rick Springfield circa 1981. This exercise of (attempting to) write a poem a day (status: fail), has proven more difficult than I predicted (FAIL). On a positive-yet-depressing note, I think I understand why my poems lack cohesive flow – something relating to syllable count. I used to play instrumental jazz in the background when I wrote. Perhaps its high time to revisit this technique. Have you ever agreed to do something laughably ambitious and then later, when the ramifications of your decision finally sink in, you panic and give up before trying? I have. I signed myself up for National Novel Writing month with the comical idea that I would write a 50,000 word novel in 30 days. Funny, right? It’s like a punchline that precedes the joke. Anyway, I’m comfortable admitting that I’m not a novelist. My literary skills are better suited for short, compact things like poetry and hateful indie rock reviews. Unfortunately I’m unable to completely give up this structured writing challenge (every time I visit my NaNoWriMo profile I see “0 words so far” and it mocks me), so I’ve compromised: a poem a day for 30 days. Completely feasible; easy even. There’s no excuse for failure. does not think they are weird but others do.